A full-terried foot for the worker that likes cushioned comfort. Great socks that allow your feet to breathe. Stay up on your legs well also. 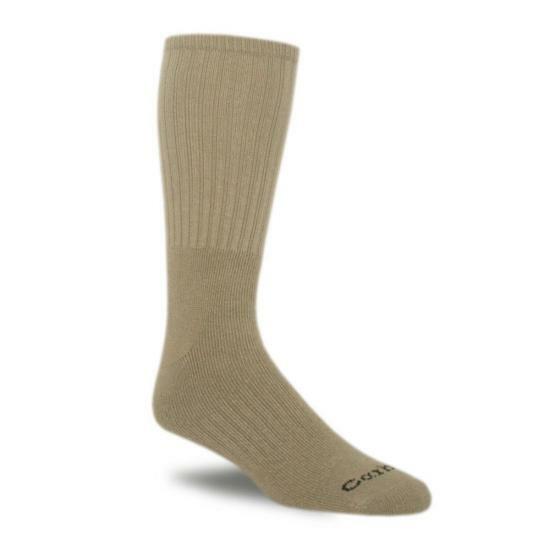 I use these for everyday wear as the base sock in my boots. Over them, I wear a wool sock for more comfort and warmth. The combination has worked superb for me for a number of years, year round. I have purchased these socks in the past and the quality stays the same. I will continue to buy them for years to come. Best socks I've ever owned. GREAT QUAILITY AND LONG LASTING. GREAT SOCKS AND VERY COMFORTABLE. GREAT BOOT SOCKS. good fit and comfort. would buy again. The soles are comfortably cushioned, and the uppers are elasticized enough so they stay up all day. I have a pair of shoes that are about 1/4 size too large. they fit perfectly with these socks on. They are high quality and appears that they will be long lasting. Can't ask for more. It's always hard to tell what you'll get in socks but these are nice, high quality socks that fit, stay up and are very comfortable. I wear them both with casual shoes and to work in my construction boots. 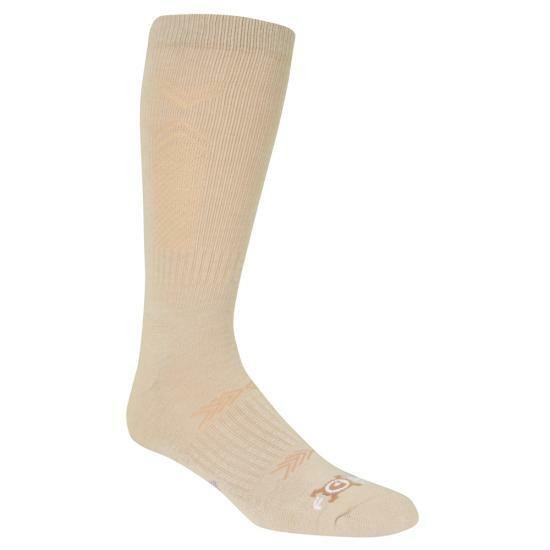 It's a great sock and the price is also a comfort considering the quality I get with them! 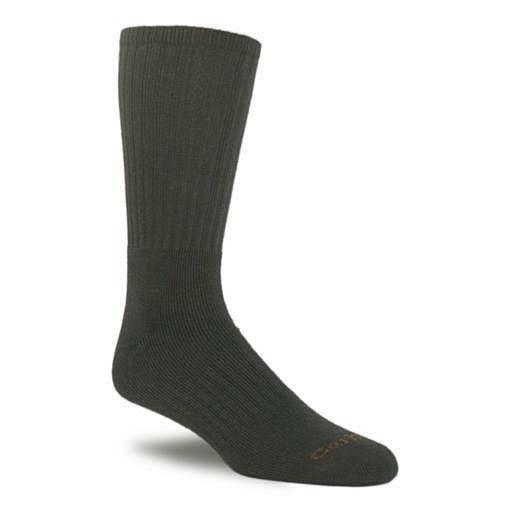 When you reach for a no-nonsense, comfortable, cotton sock to wear every work day, this one fills the bill and more. Fit is exact, the cushion and thickness just right for Texas and they wash clean and ready for another day time after time. Good value and good durability. I have thin legs, so when I put them on the first time I was afraid they would not stay up on my legs. They fit without the elastic tightness I'm used to. After a long day of activity they were still staying up where I pulled them in the morning. The comfort of not feeling squeezed was terrific! Hope that continues after washing them a few times. 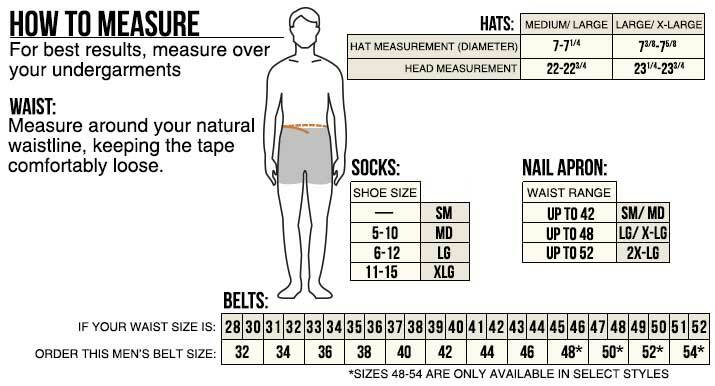 Ribbed, elastic ankle brace and arch support ensure socks stay in place Reinforced heel and toe for added durability Spandex for a contoured fit Top length: 7.5"